Description: The solution adds one to each register in turn, starting with the right register. 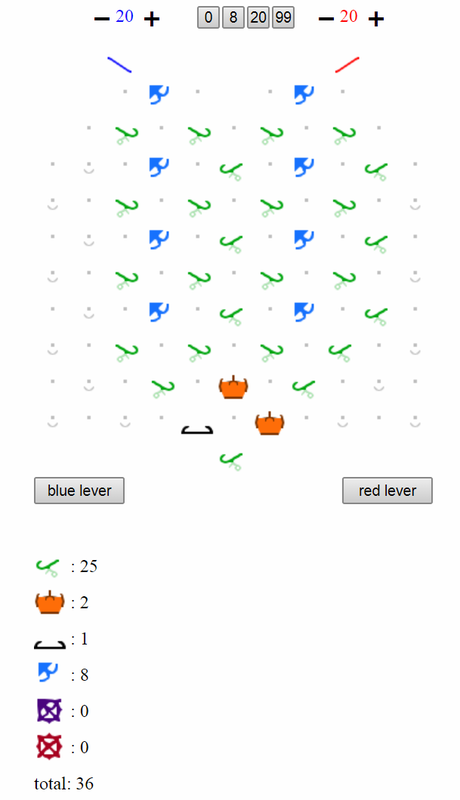 If the right register overflows first (i.e., it goes over 15), then a red ball goes in the basket. If the left register overflows first, a blue ball goes into the basket. You seem to be missing three ramps, two on the right and one at the bottom. Thanks, menderbug! I fixed it. Image is better now (the ramp up-right from the top crossover is facing the wrong way) but the link is still to the version described in menderbug’s post. What is the advantage of making this comparison by increasing each register by one each cycle until overflow rather than decreasing each until one hits zero?